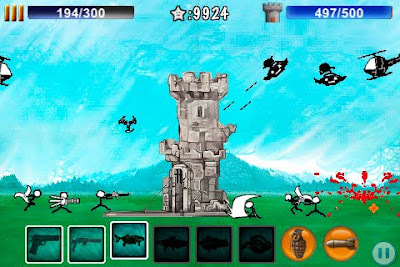 Cartoon Defence is an exciting defence-action game with various actions and strategies. Cartoon Defence requires your invisible finger and your decision making ability. 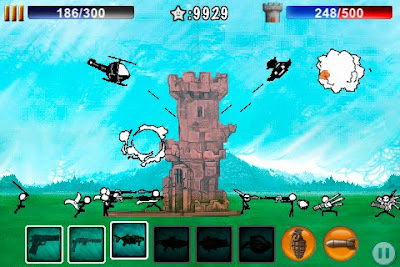 Protect your kingdom from the violent and evil Cartoon Army! 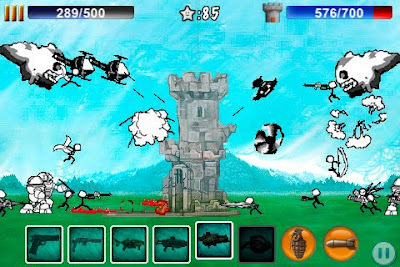 It's a game with well known rules:"Shoot 'em all to win". 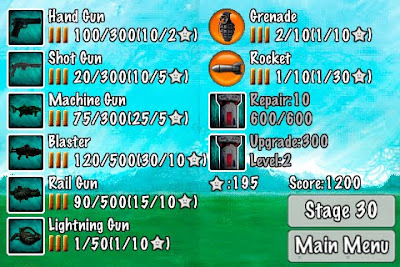 Select your weapon among the icons at the bottom, attack your enemy. You should the right weapon at the right time to defend you from the enemy's attack. You will do better with a good use of the bombs. With the money you earn when you defeat your enemy, you can buy your armors and repair your castle. You should get enough ammo to be ready to fight with your enemy. A group of evildoers who have a design on your beautiful princess invaded your kingdom. Defeat the enemy using your powerful weapons. To protect your kingdom and the princess, you have no time to take a rest. Unlimited stages. You can keep playing until defeated. Three different levels of difficulty. Eight different types of weapons. Seventeen types of enemy with different characteristics. Auto-save. 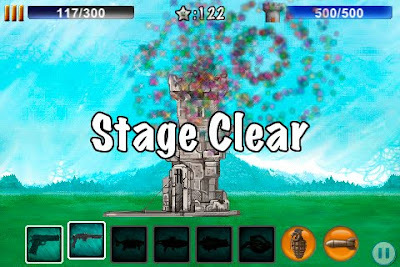 The game will be automatically saved at the end of each stage. * If your device is Jailbroken, please check out this page. This game does not work on my Ipod Touch. Has anyone else had this issue? Can anyone else help me? I have contacted Itunes but they referred me here for support. I upload new version (1.1.1) for fix crash. my game will not open! cananyone help me plox? ?